What makes Ministry of Crab different? Guests are given a cheeky bib printed with the words ‘Keep Calm and Crab On,’ there’s hardly any tough labor involved as the crabs are already cracked for you — you just need to dig in and enjoy. 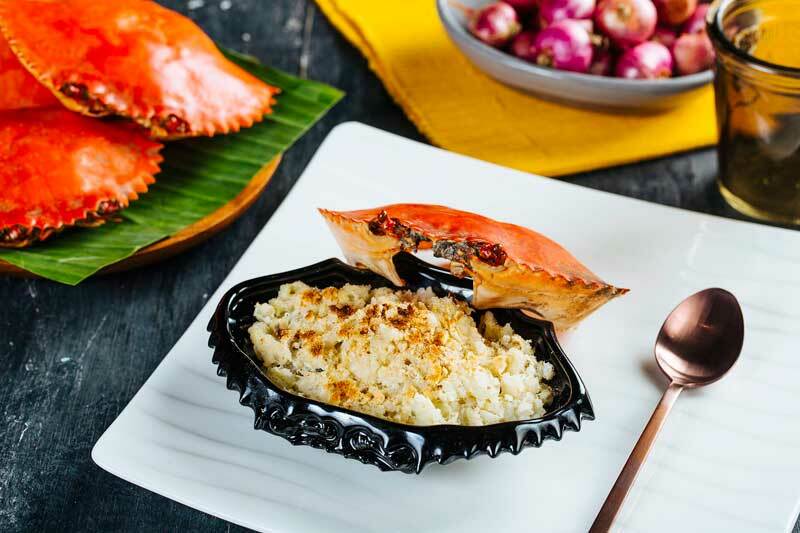 Sri Lanka, on the southern tip of India, is home to the first seafood house of praise, ranked 25th in Asia’s 50 Best Restaurants 2018: Ministry of Crab. Its flagship in Colombo is housed in a 400-year-old Dutch hospital with a minimalistic open-kitchen format. Start your crab-filled journey with Ministry of Crab’s Baked Crab, a risotto with crab as the main ingredient, of course. 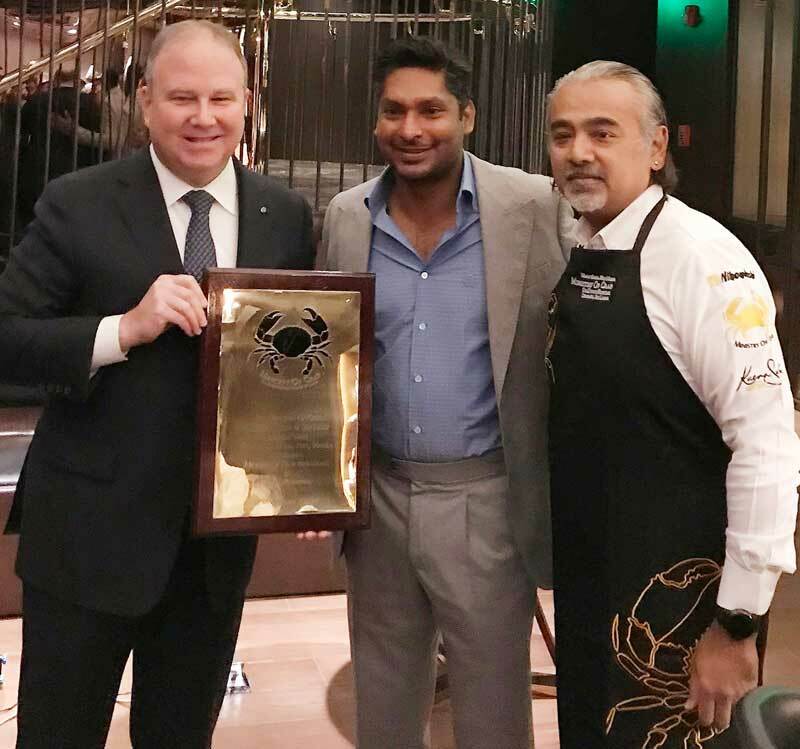 Dharshan Munidasa, founder of Ministry of Crab, alongside cricket players Mahela Jayawardene and Kumar Sangakarra, says they specifically wanted a ministerial property for the restaurant. 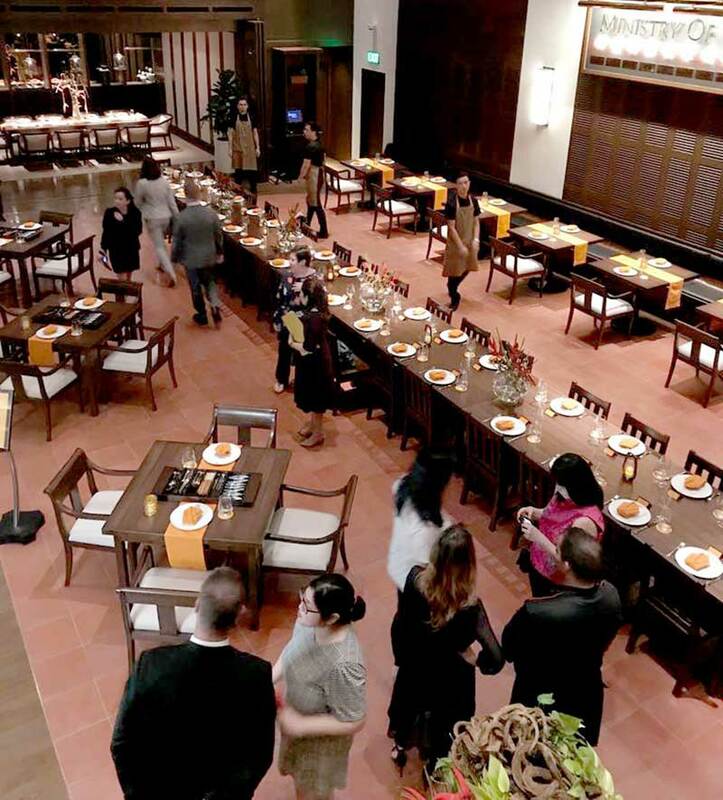 In Manila, Ministry of Crab opened its third branch recently in Shangri-La at the Fort, in a tall and equally ministerial space that was initially supposed to be the hotel’s club. Asia’s top 25 best restaurant: Ministry of Crab ’s Colombo flagship is housed in a 400-year-old former Dutch hospital building; here in Manila, it is at Shangri-La at the Fort’s massive dining space, which was initially supposed to be a club. With a height of almost two stories, the space, which guests are introduced to through a narrow entrance and hallway along 30th street (soon it will have a hotel entrance through the retail area), is surprisingly huge and the perfect intimate venue for cracking a crab shell — knuckle-deep in sauce — in peace. 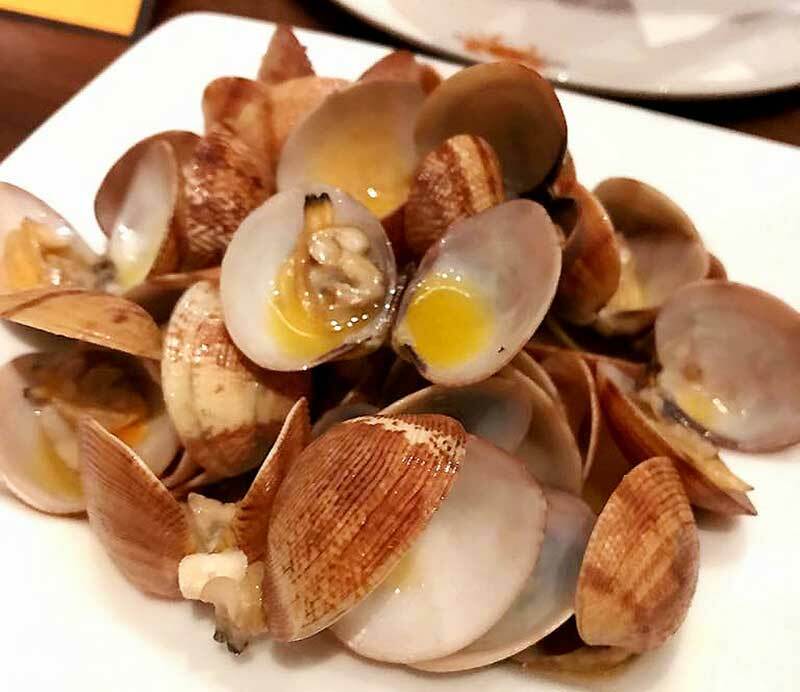 As for the menu, guests can expect Sri Lankan signatures, as well as new dishes heavily rooted in Filipino cuisine, like ginataan and sisig, with all crabs and prawns sourced from the Luzon, Visayas and Mindanao regions. What makes Ministry of Crab different from all the seafood restaurants that we already have? Wouldn’t it be like preaching to the choir? Well, for one, couples shouldn’t hesitate to come here for a date, because the restaurant staff takes the “mess-work” out of crab eating for you. While guests are given a cheeky bib printed with the words “Keep Calm and Crab On,” there’s hardly any tough labor involved as the crabs are already cracked for you — you just need to dig in and enjoy. Served with most dishes is Sri Lanka’s traditional wood-fired kade bread, spongy enough to soak up all the sauces from your plate. 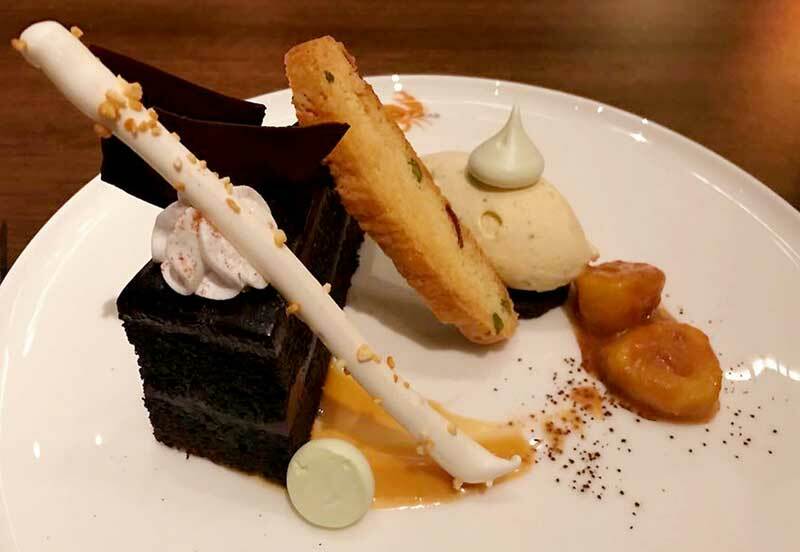 They also have a special dessert menu that marries Filipino and Sri Lankan flavors, with ingredients such as agar agar (red algae jelly), kulfi (Sri Lankan ice cream), pistachio, rice and the Philippine mango. The restaurant serves varieties of both crab and prawn, with the former ranging from the half-kilo crab to the two-kilogram Crabzilla. 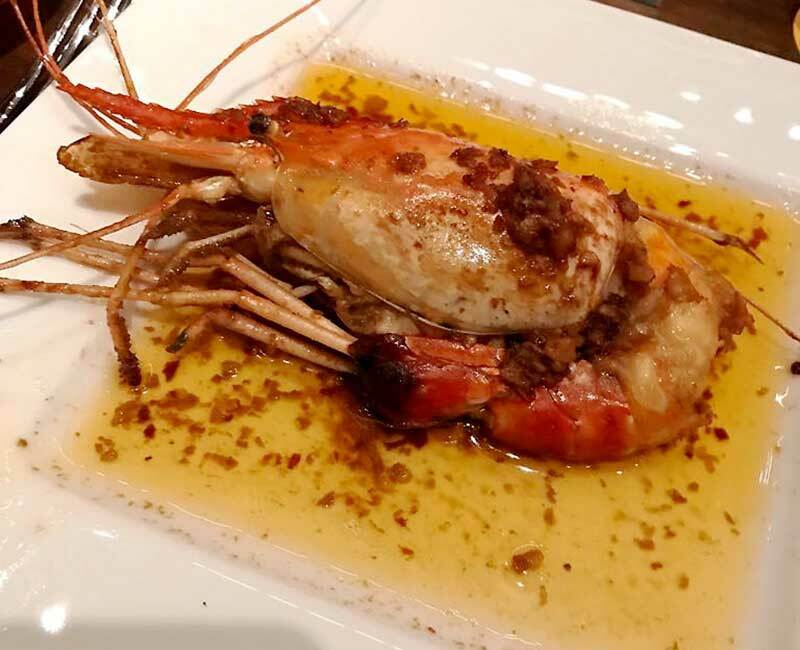 Prawns are served in half-dozen batches of black tiger prawns to the 600-kg Prawnzilla. First-time guests must order the flagship’s signature dishes: Pepper Crab and Chili Crab. 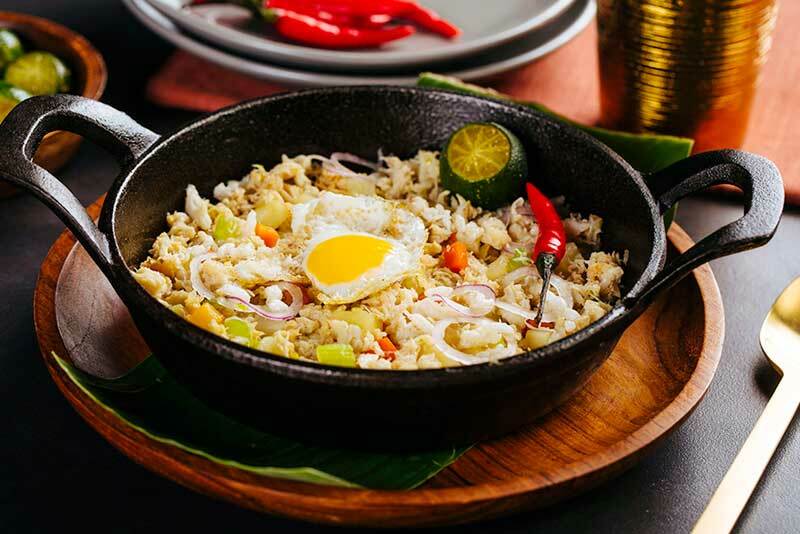 Ministry of Crab champions Filipino flavors with Crab Sisig. Another unique feature is how the restaurant has no freezer. Munidasa, being half-Japanese, applies a mix of philosophies when it comes to cooking. He’s not a trained chef but has more than 20 years of experience in the restaurant industry and absolutely loves to eat. 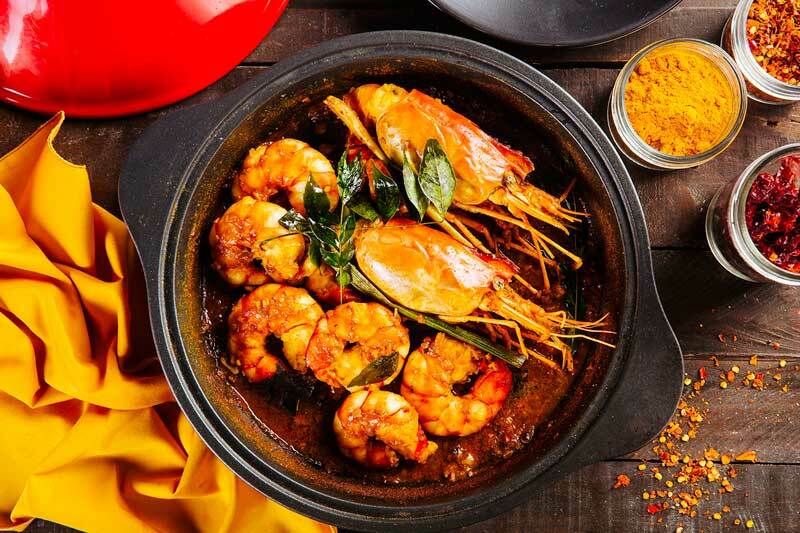 This Clay Pot Prawn Curry features local prawns and imported spices. Shangri-La at the Fort chefs trained with Munidasa in Colombo to make sure that the flagship’s practices are applied at the Manila branch, not necessarily to make Sri Lankan staples but to focus on delivering the best crab dishes. For a non-chef, he sure taught his students a lot about crabs, including how to cook it so that everything remains intact, to finding the right balance of spices. These butter and soy sauce clams go perfectly with Sri Lanka’s kade bread and a Ceylon Spritz. The star of this Moist Chocolate Cake is Sri Lanka’s pistachio kulfi. Ministry of Crab is also serving the best crab-complementary cocktails, courtesy of Shangri-La at the Fort’s executive mixologist Ulysse Jouanneaud, who infuses his concoctions with ginger and cinnamon (great for palate cleansing!). There are eight new cocktails and three new mocktails using tropical ingredients like passion fruit, lime, agave and peach. Try the Ceylon Spritz, which has sparkling wine, making for a light and fresh accompaniment to extra-rich crab dishes; or non-proof Kandy’s Loot, a sweet drink with raspberry and juniper berry. There’s also homemade ginger beer and a diverse selection of teas. Ministry of Crab is at Shangri-La at the Fort, Manila, 30th Street corner 5th Avenue, Bonifacio Global City, Taguig. For information, visit www.shangri-la.com or follow@ministryofcrab.manila on Instagram.